A great tutorial video by artist Julian Khor. For those of you that follows Conceptart's Comiquette Challenge 2010 (CC2010), this piece will be very familiar. Go to his channel and browse the videos thare. You'll find a treasure trove of sculpting goodness. Claudio Setti, is one of my heroes in sculpting. I can't believe I missed this video the first time around. You can always learn something by just watching a pro at work. 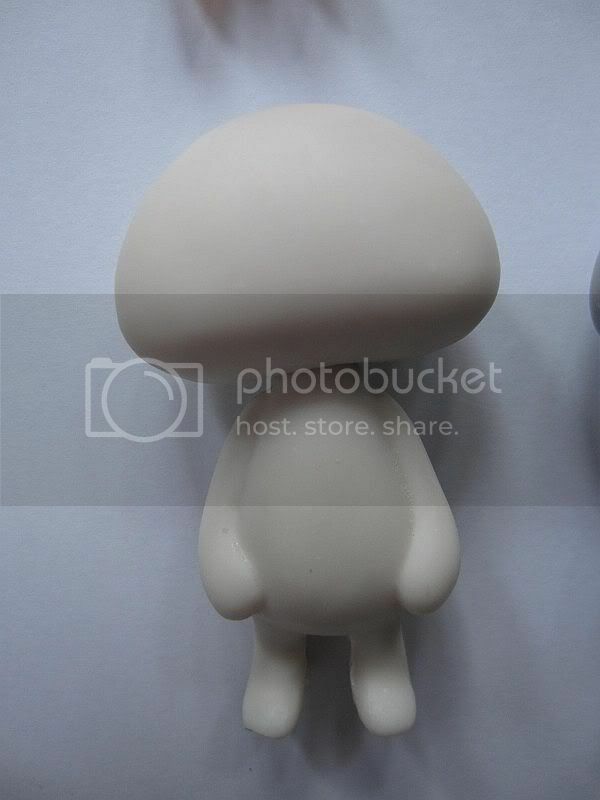 Here he used Chavant NSP medium for the sculpt. Other than sculpting, my other hobby is playing video games. Preferably at bargain prices. This is an awesome bundle of indie games and you can name your price too. Get the games and give some charity while you're at it. I've already got Machinarium and it is a beautiful piece of indie gaming development with great soundtrack. I highly recommend it if you like old school point and click adventure. You can see all the games lined up in the video. And get this, if you pay more than $7.51, you'll get the last year's Humble Indie Bundle too. The world of Goo is reason enough for a definite purchase. You'll also get Samorost 2, a point and click adventure game from the same developer as Machinarium. WIN! So pay up (what you want, preferably more than $8) and game on! There will be some major changes to be conducted in the blog next week. For all of you who waited for the Fire Nation Girls... well, at least you'll be seeing one of them. Yet another great video by David Lemon. This time it's all about sculpting the face. For beginners, it is essential to invest on a good caliper or compass. 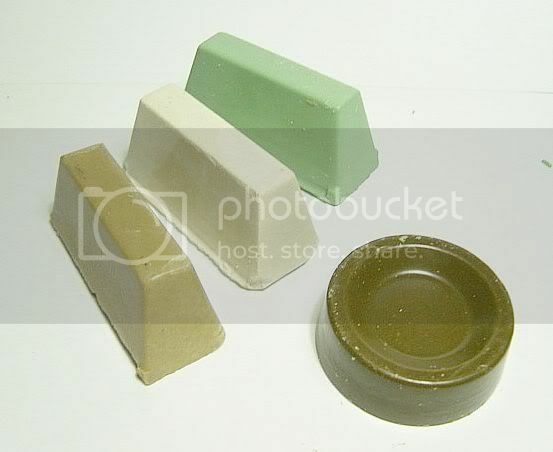 You don't need those fancy sets, a cheap one will do (but be careful, you get what you paid for). It's Ray V! One of my heroes from the sculpting world. If you are interested in making your own action figure or statue, than this is the book for you! One of the writters, Tim Bruchner, is one of my all time favorite sculptor. This book is AWESOME. I'm going to order it ASAP! 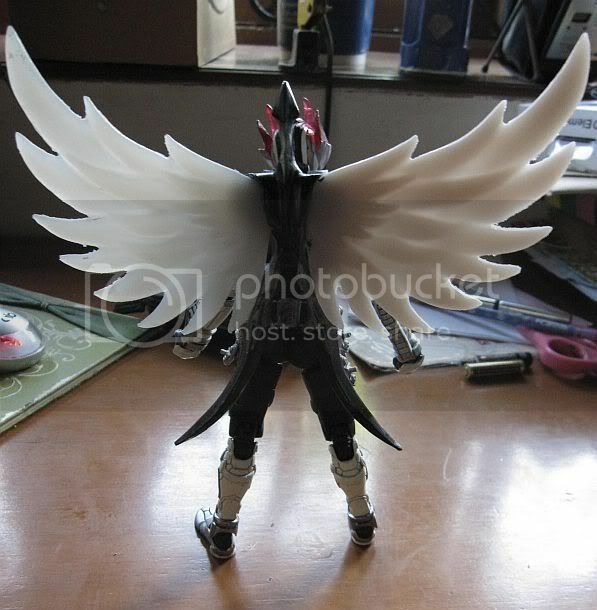 A short video on how to attach the 'Wing of Ecstasy' Add-on kit on your SIC climax form Den-O figure. Maybe I should post something about the add-on kit first... oh well. Wing of Ecstasy Add-on kit is Finished! My first S.I.C. add-on kit is finally complete! 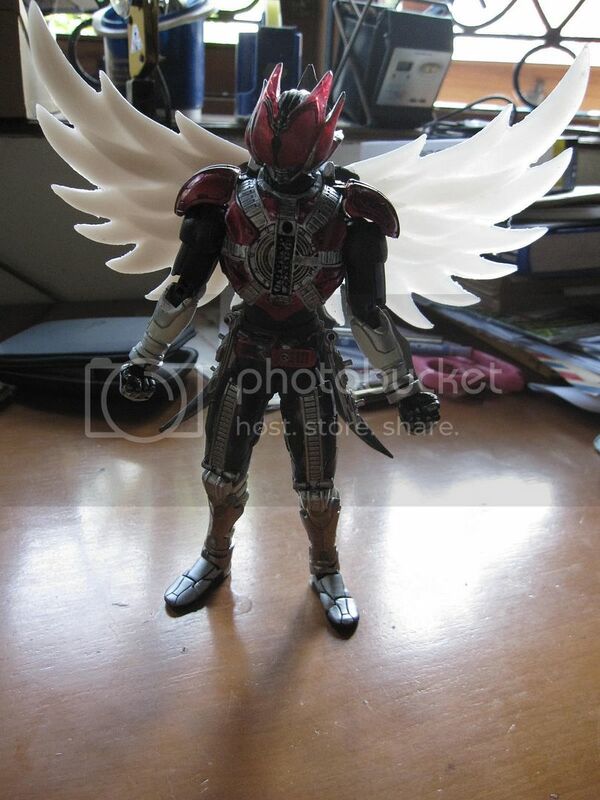 The Wing of Ecstasy is an add-on kit for Bandai's S.I.C. 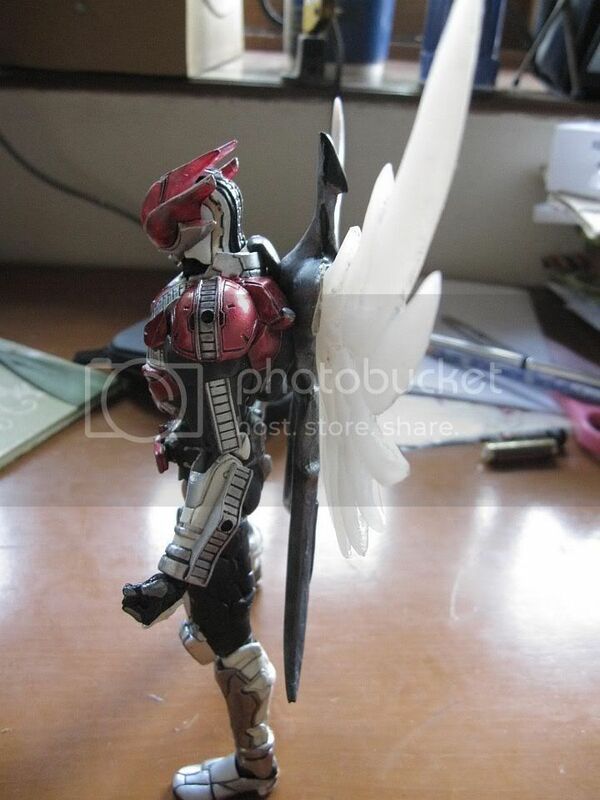 Climax form Den-O figure that turn it from a regular Climax form into the Super Climax form. 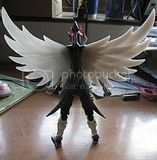 And the wingspan is bigger than the limited Chou climax figure too. The wing design was inspired by the garuda and wing motifs found in the wayang kulit and batik tulis. The kit shown is in the monochrome color scheme. 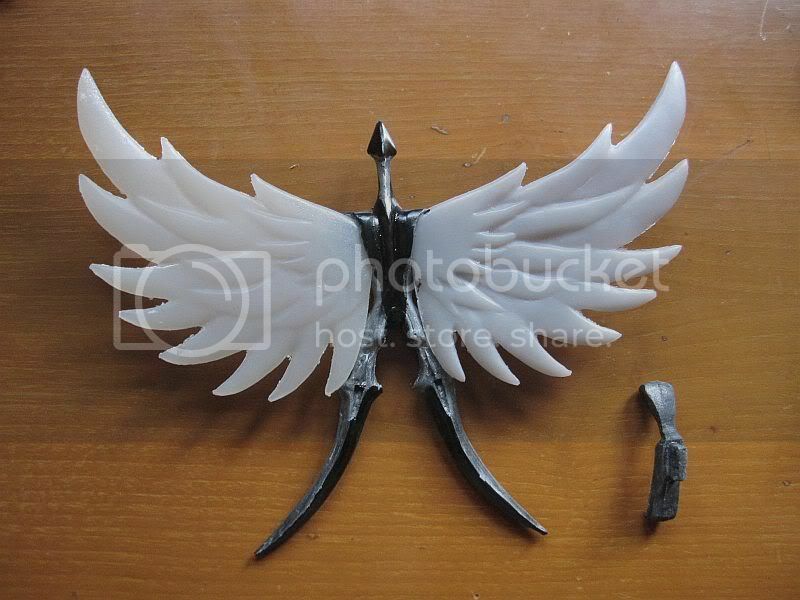 The wings will be cast in clear blue and red while the body will be painted gold or silver. Since I still pour the resin and cast by hand, there will be a limited copies available. Pre-order will be open soon. 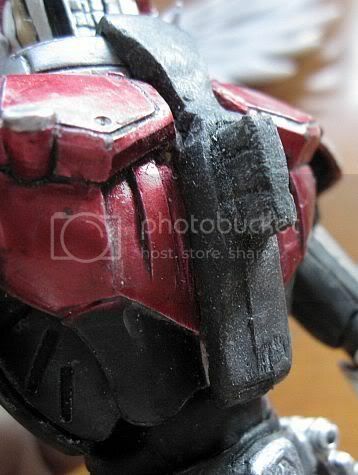 Stay tune on Midztoyz for the details... after the Ied holiday. 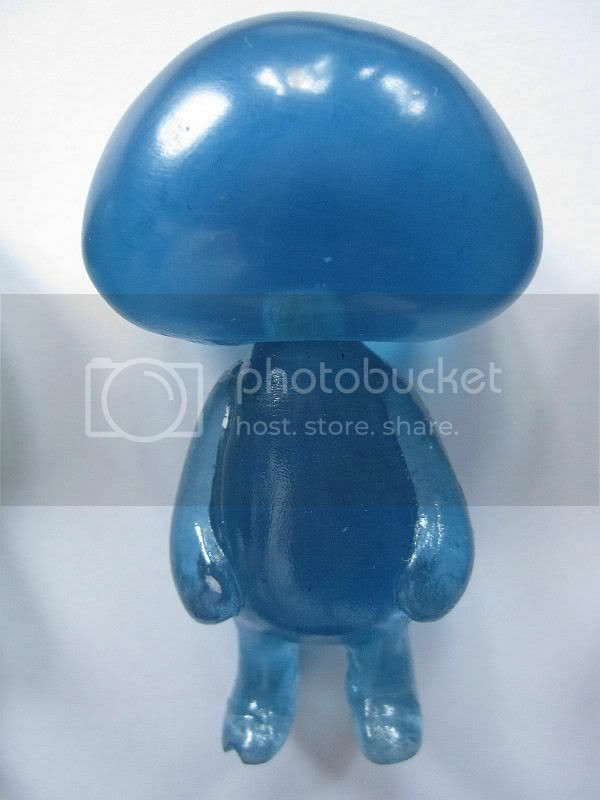 This is a DIY CeBe-R. A 2.5" DIY resin toy. I kinda wanted to make a designer toy of some sort so this is it. 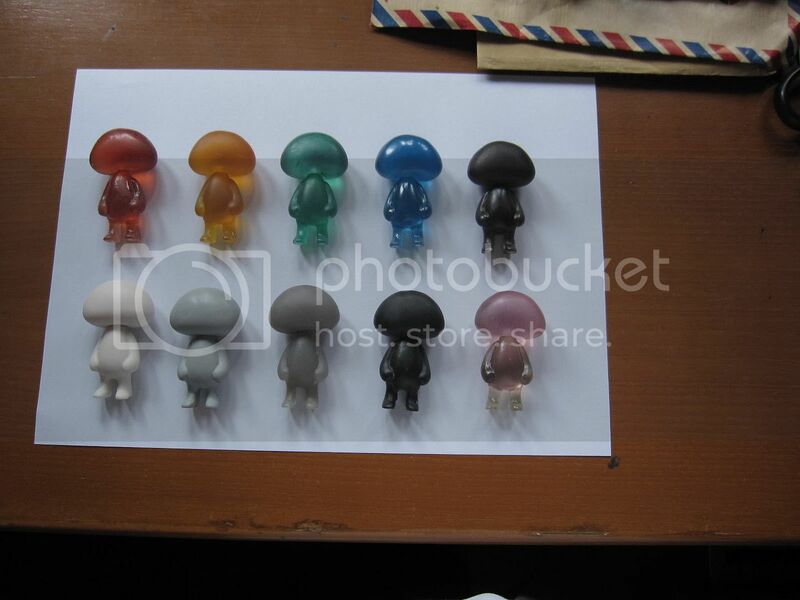 These are the first castings from the mold. I need to tweak the mold a bit if I wanted to make more of these little critters. Still haven't decided to actually sell these or not. Read more for a couple of group shots. This video is awesome! Go watch it and be amazed. The original video came from Nico Douga. Really makes you appreciate all the design and engineering that comes with modern day toys. Here's another great sculpting video by youtube user JoannaMozdzen. Another video of sculpting the eyes after the jump. More updates will be coming in a couple of days. So stay tuned! A great sculpting demo video on sculpting the eyes. I very much like her style. Check her youtube channel for more videos on sculpting the face. They're all good! I'm going to 'reboot' the blog to give it some new life. It wont be drastic or anything. Essentially it will turning over a new leaf and re-energize myself to post more frequently (now that I have the time to spare). I will keep my promises on those unfinished sculpt from way back when, but not at the same time. There will also be new projects coming up, some are even available to purchase (!) by our overseas readers. That's enough blabbering from me. Got to work on my new content. It's an edited sample clip from Steve LeGrand's instructional video. Another gem found on Youtube. The attention to detail is just superb. Great insight in sculpting the eyes starting at 8 minutes in. And ears too. 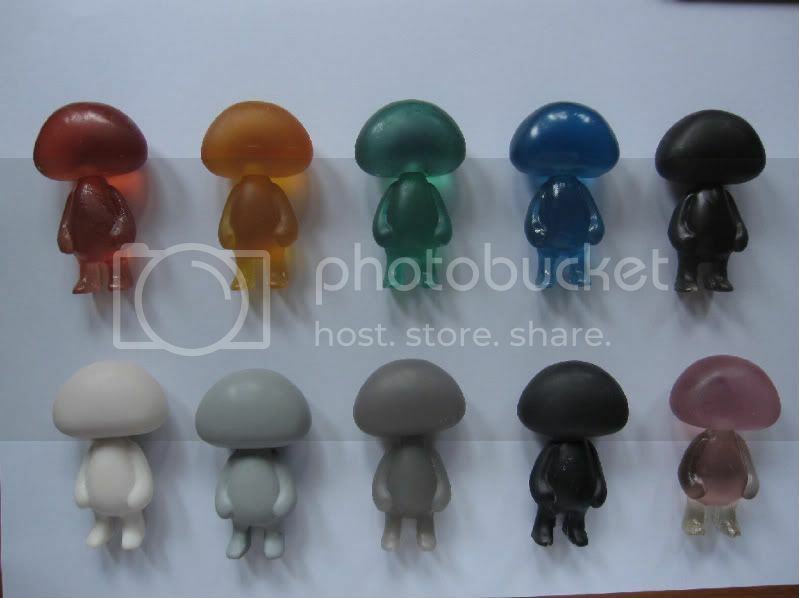 This is a gallery of the products that Midztoyz is offering. At the moment I can't ship order overseas. I will try to get international orders going as soon as possible. The following post in in Bahasa Indonesia. Hybrid modeling wax yand dapat digunakan untuk membuat purwarupa figur dan mainan. M-WaxZ butuh panas agar bisa digunakan. Sifatnya seperti lilin mainan ketika hangat (40-50 C) dan akan keras kembali pada suhu ruang. MwaxZ L cukup kaku tetapi bisa dibentuk dengan tangan tanpa harus dihangatkan terlebih dahulu. Merupakan produk perantara, tidak bisa di cat. MidZtoyZ menawarkan M-WaxZ dalam 3 tingkat kekerasan: [E]mpuk, [L]unak dan [S]edang. 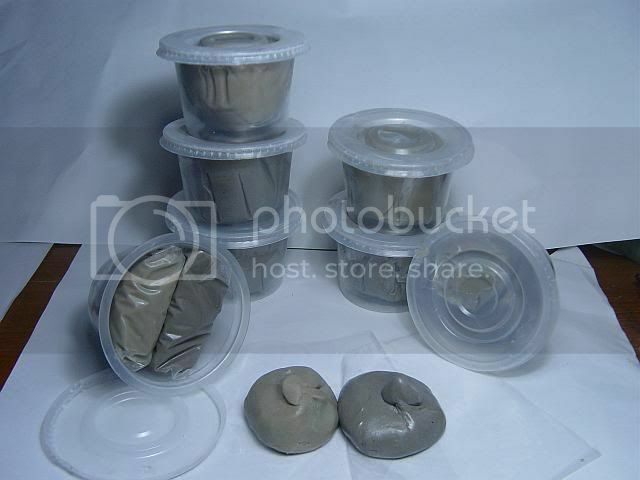 Epoxy putty!!! campur resin dan hardener 1:1 atau 2:3, pijat sampai tercampur rata, langsung siap digunakan. Waktu kerja antara 1-2 jam, tergantung perbandingan campuran. Permukaan MpoxZ dapat dihaluskan dengan air ketika belum mengeras. Setelah mengeras dapat di amplas, bor, cat, pernis dll. M-PoxZ bisa digunakan untuk menambal celah pada model kit, membuat dan custom figur, dan macem-macem. Bahan ini dapat disimpan dalam waktu yang lama, asal tidak tercampur. Simpan dalam wadah tertutup. Setelah pembayaran masuk, barang akan segera dikirimkan. Pemesanan, pertanyaan, saran dan masukan dapat anda layangkan ke trid ini, melalui situs www.midztoyz.com atau email ke: edsa_m@telkom.net atau SMS ke 0856 8012644. Apabila persediaan barang habis, mohon beri waktu 2-3 hari untuk memenuhi pesanan anda. Another sculpting video by Philippe Faraut was uploaded on Youtube! Watch this! Subscribe to his channel. Nuff said.